One must wonder why Christian historian David Barton and Mormon Glenn Beck have been spending so much time together. And when they pray, what are they praying for? Is it Beck’s repentance and salvation in Jesus Christ of the Bible? As a follow up to Marsha’s must-read article, Controversial Christian historian David Barton: misinterpretations,errors, and Glenn Beck, Warren Throckmorton emailed us to share this interesting video and article. Notice what Barton is praying, and how afterward Beck is deeply affected. 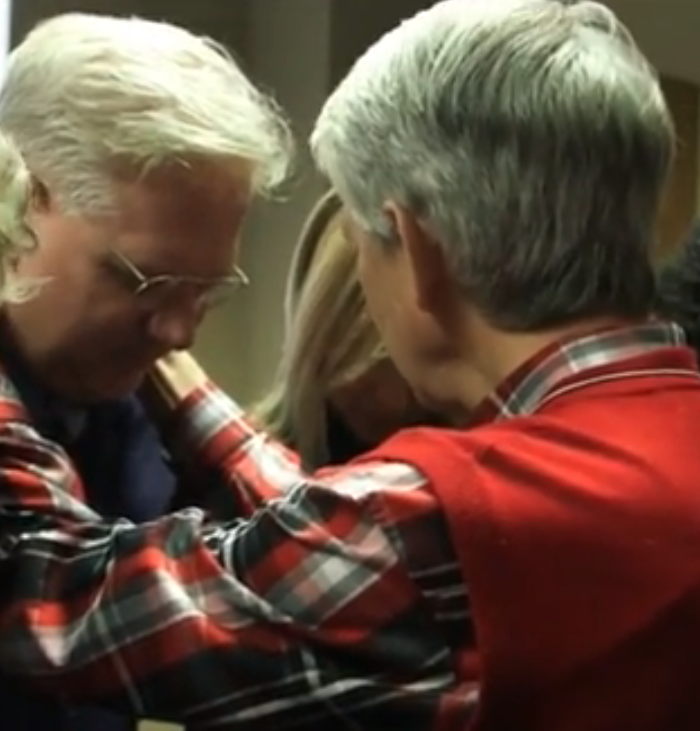 “Some readers will focus on David Barton praying over LDS member Glenn Beck. Some readers will focus on Beck and Barton’s certainty that Ted Cruz is really the anointed candidate. Some readers will wonder why Ted Cruz, if he really is the guy, only gave 1% of his income in charitable deductions from 2006-2010. Some readers will question David Barton’s role in the Cruz campaign while he is the leader of one of Ted Cruz’s Super PAC. Some readers will question if the Holy Spirit’s job in the world is to be “turned loose” to energize a political campaign. Some readers will marvel at the pious prayers while at the same time Beck and Barton mislead the public about why Barton’s book The Jefferson Lies met such criticism. See our research paper on Mormonism.